Bunker Labs is witnessing a recent surge in military veteran entrepreneurship. Comcast NBCUniversal is proud to support their mission to catalyze the entrepreneurial potential of the military experience to lead innovation in the American economy and to empower veterans. 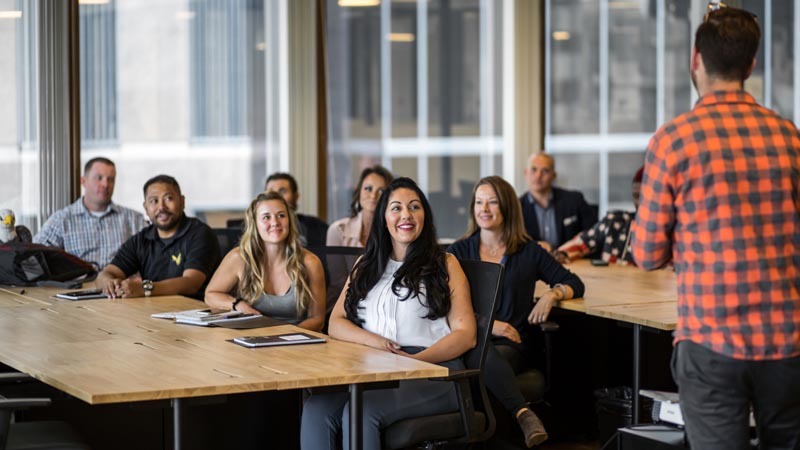 Below are just a few of the exciting veteran-owned companies coming out of Bunker Labs, a national network of veteran entrepreneurs dedicated to helping new veteran entrepreneurs start their own business. QWYKR is a mobile application that helps companies save money on employee expense reports by increasing transparency of their ground transportation costs through its ground transportation scheduling software. ID.me’s Identity Gateway is designed to increase trust and efficiency in account opening and digital transactions. Rhumbix provides a workforce telematics platform for construction, combining data entry in the field from smartphones with data analytics to improve labor productivity on project sites. Simple Disability has developed the very first and only end-to-end digital platform for individual disability insurance. Tokken is a technology platform that extends banking services to cash intensive, un-bankable businesses. Docio is a real-time product portfolio intelligence and software development analytics solution, helping customers drive operational excellence to manage risk, accelerate growth, and deliver real business value through software. Efflux is a scalable solution, designed to automate cyber intrusion analysis and investigation. The goal is to bring greater automation and efficiency to incident response. vThreat allows organizations to find the systems most likely to be hacked and helps organizations mitigate the risk within the first 48 hours of discovery. Akouba provides an online digital onboarding platform that enables financial institutions to lend money to small businesses simply, efficiently, and profitably through an omni-channel experience.